If my health improves enough for me to go back to work, do I lose my disability payments? The Social Security Administration has a work incentive program to assist people who can return to employment. The Administration recognizes that this may be easier said than done, however. They set up a trial work period of nine months that allows beneficiaries to test their ability to work while still receiving Social Security benefits. More information on their policies can be found here. Does workers' comp affect my social security disability benefits? What about unemployment? You can receive both social security disability benefits and workers compensation at the same time. However, your workers compensation check will be reduced to compensate for the extra money you'll be receiving. Under the law, the two payments together cannot equal more than 80% of your average weekly wage prior to your injury. Refer to our Social Security Disability page for more information on this form of financial assistance. To qualify for unemployment assistance, the law states that you must be able to work. If your doctor and attorney find that you are eligible to receive temporary total or permanent total disability benefits, then you are not eligible to receive workers' compensation benefits at that time. Can I claim other benefits, such as workers' compensation, along with Social Security Disability? You can file for disability benefits under workers compensation and Social Security, but both agencies need to be notified. 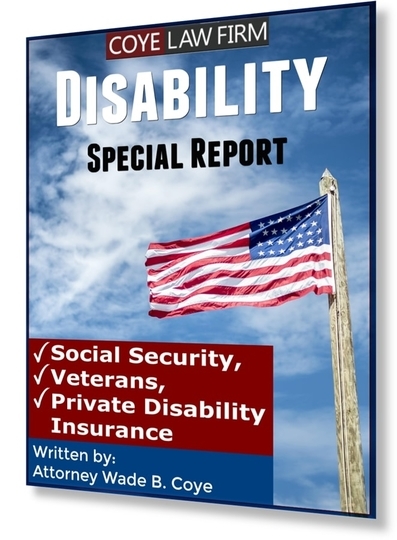 The SSA states that benefits "may be reduced if you are also eligible for...disability benefits from certain federal, state, or local government programs" as well. The insurance attorneys at the Coye Law Firm can consult you on the sources of disability benefits you may want to claim. Additionally, our law firm can ensure that the steps are carried out to satisfy agency requirements and aid in communication. Can I file a claim for an unlisted disability? Yes. Even if your impairment isn't listed on the Social Security website, they will still consider your claim if it interferes with your ability to work. Can I claim disability for my child's accident? If your child is unable to work because of his traumatic brain injury, he can apply for disability benefits. His disability began before his 22nd birthday, so he is eligible for benefits without having work credits. Can I file a claim for SSD because of back injuries? Not based on the word of a chiropractor alone. The SSA doesn't consider chiropractor evaluations to be enough evidence to prove a disability. In this case, MRIs and other medical evidence provided by medical doctors and treating physicians would greatly improve the chances of receiving benefits. 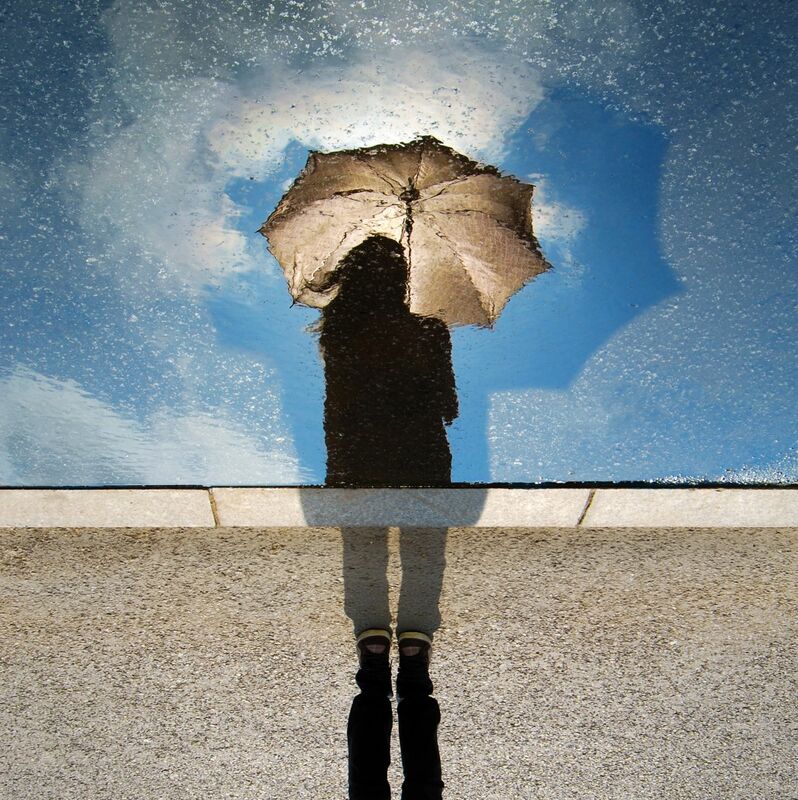 Can I get benefits because of my depression? Possibly. This condition certainly keeps a person from working, but it might not be enough to meet the requirements of your disability insurance plan or those outlined by the Social Security Administration. I can't go to the doctor for treatment. Can I get benefits? Yes, but it may be more difficult. If you apply for benefits from the Social Security Administration, they might ask you to get a doctor's exam before they approve your claim. They pay for the exam, so you won't have to worry about payment or insurance. Can I still work and get Social Security Disability benefits? In short, yes. If you have a mental or physical limitation that prevents you from earning a federal minimum, then you may be eligible for benefits. This means that those who are still working but have limits put on the type or length of work they do may receive benefits if they earn less than $980 a month. This number changes, but a lawyer at the Coye Law Firm can help you determine if you are eligible for these benefits. What are the injury qualifications for claiming disability? A "disability" means that you have a medically verified injury, illness, or condition that keeps you from doing any work. This means that if you can perform sedentary work, you can't receive disability. A person with a broken leg could still work while sitting down, so they are not qualified to get benefits. The Social Security Administration will continue to pay benefits "as long as your medical condition has not improved and you cannot work." The agency will periodically review a beneficiary's disabled status to ensure that the system is not being taken advantage of. If your benefits end and you are still reasonably disabled, contact a Social Security disability lawyer at the Coye Law Firm. I've been disabled and out of work for 2 months. Can I claim SSD benefits? The law states that a person must be considered disabled for five months before receiving benefits. However, your case may have other areas of liability, including workers' compensation and personal injury. contact the Coye Law Firm to find out if you may collect benefits another way. Wouldn't a disability at age 60 be different from one at 25? What are the age requirements for Social Security Disability? An adult from ages 19 to 49 is considered "younger" and is deemed to have the ability to adapt to work other than the work the person has done in the past. For a "younger" person, unless certain special things are present, they must prove that they cannot do even the simplest job that exists in "significant numbers" anywhere in the United States. For a person from ages 50 to 54 (considered a person "closely approaching advanced age,"), they must prove that the medical condition limits them to no better than sedentary work (basically a sit down job), that he or she cannot do any work done in the previous 15 years, and that this work did not give him or her any skills which apply to sedentary work. For a person over 55 ("advanced age" or "closely approaching retirement age") the person must show that he or she is limited by the medical condition to no better than light work, that he or she cannot return to any job done in the last 15 years and that he or she has no work skills which could be applied to any other light or sedentary job which is similar in terms of industry, tools, and work processes to that which the person has done before. You'll need proof of your disability in order to file a successful disability claim. This means that doctor's records, treatment verification, prescriptions, and other medical documentation should be submitted along with your claim form. If your carrier requests or requires more information or paperwork, submit that as soon as you can to begin receiving benefits. I'm still working, Do I qualify for benefits? In 2010, a person making less than $1000 per month is not engaging in "substantial gainful activity." If their condition is expected to last at least 12 months, they can apply for disability benefits. Individuals who are working and disabled might have a harder time getting benefits, but they should apply as soon as they qualify. After you apply for benefits, you will have to wait a few months to get a decision. Whether the Social Security Administration approved or denied your benefits, you will receive a letter in the mail stating their decision. The SSA begins paying benefits in the sixth month after a person's disability starts; this date is included in the letter sent to your home. Not right away. You can participate in trial work programs and continue receiving disability payments. You can work and earn an income over what is considered "substantial gainful activity" for nine months, not necessarily consecutive, within a five year period. Once you reach this limit, your benefits will stop. 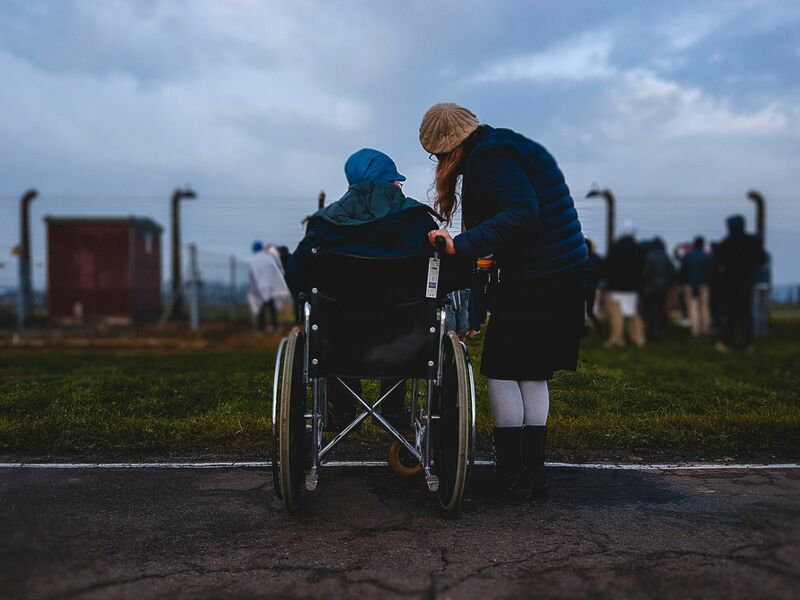 The Social Security Administration defines a disability as "a medical condition that prevents you from working and that is expected to last for at least one year or result in death." They have a list of impairments that qualify a person for benefits, but your condition doesn't necessarily have to be on that list to get payments.